How would you like to take a professional level course on how to do research in England? How about Germany? Ireland? Italy? New Zealand? Poland? Mexico? All of these and more are available online on the new Beta.FamilySearch.org website. There are over 100 courses on basic research, reading handwritten records and even classes on becoming a professional genealogist. 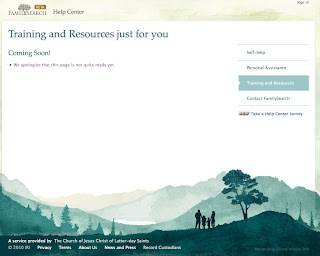 When you enter the Beta.FamilySearch.org site click on the Learn link. That will take you to the Learning Resources Center. From there, you click on the Research Courses link and you will find a long list of classes organized by content. 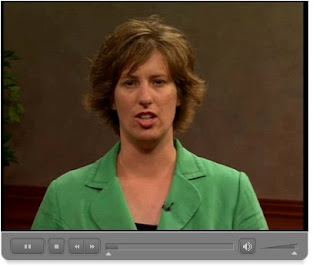 Here is a screen shot from the first listed course, the England Beginning Research Series, Research Overview featuring Diane Loosle of the Family History Library and FamilySearch. Some of the courses include PDF copies of the course materials. If you have ever wanted to attend a genealogy conference but had neither the time nor the money, take advantage of these free online opportunities. Genealogy, pages, images, books, documents and records -- What??? Huff, Darrell, and Irving Geis. How to Lie with Statistics. New York: Norton, 1954. Now, don't get me wrong, I am not saying that any of the record collections are lying. But it is very useful to understand how statistics, and in the case of genealogical records, the numbers, can be manipulated to show a specific results. Quoting numbers and statistics is done every day by millions of news outlets, public relations organizations and even individuals and skewing the numbers for a particular purpose is rampant in all of the media and especially on the Internet. In the genealogy world, online providers use their statistics to show how large they are in relation to other providers. This tendency is not limited to subscription or pay-as-you-copy services, but is a general tendency throughout the entire online world. I guess that the large numbers are supposed to impress potential users as to the usefulness of the database or for other motivational or advertising purposes. Let's look at some of the words commonly used to describe and quantify online collections. As we review these words, ask yourself if they really have any quantitative meaning? Name: You would think that counting the number of names in a database would be unambiguous? Maybe. It is possible that the same individual is mentioned many times in the same document. Is each instance of the person's name counted as a "name?" Who determines if there are duplicates? Is there an unwarranted and unsupported assumption that each name represents a unique individual? Individuals: Well, what can I say? How do they know how many individuals there are in the database unless they take into account duplication. For example, there are databases in which my Great-grandfather's name shows up dozens, perhaps hundreds, of times. How many individuals are there in the database? Does anyone really know? Page or image: Probably the least ambiguous of the terms, I guess it is supposed to be understood that each "page" equals one scan or one image. You will obviously note that one page might have a hundred or more names. So what does it mean if one page has one name and the next page has over one hundred names? What if a large number of the "images" have no names or other useful information at all? Document: If page is the least ambiguous, then document is the most. What is a document? A document might have one page or 1000 or more. What use is it to count documents? Any given document may have no genealogical information or be extremely useful. Counting the number of documents in a database really gives no information as to the value of the information contained. Book: See document. Books can have no genealogical value or be chock full of useful information. Knowing the number of books in a library, for example, might give you some idea of the size of the building, but what if the books are all for children and only have a dozen pages? Almost every library website, somewhere, lists the number of books in the library. Other than as a general comparison, counting the number of books in a library is like the time I sat out on the wood pile and numbered all the pieces of wood. An interesting activity but not too useful. Records: See books, documents, and images. Items: See books, records, documents and images. Collections: The most ambiguous term of them all. How do you define a collection? Is a collection on FamilySearch Record Search equivalent to a collection on Ancestry.com? If so, what is the criteria for comparison? If not, what is the meaning of the word? It is likely that each of the larger database providers have their own internal definitions of each of qualifiers. What is apparent, is that no one outside of the organization has any idea what those qualifications are. • All works under copyright protection that are published in the United States are subject to the mandatory deposit provision of the copyright law. • This law requires that two copies of the best edition of every copyrightable work published in the United States be sent to the Copyright Office within three months of publication. Is there anything in the report that talks about the duplicate copies of all of the copyrighted works? Do they count or discount the duplicates? Hmmm. Good question. It would be a really good idea to discount large numbers. It is really difficult, if not impossible, to understand or even comprehend 141 million items. Large numbers do not mean anything if the items are not accessible. When was the last time you went to the Library of Congress? FamilySearch began in 1894 as the Genealogical Society of Utah with 11 donated items. From its origin its purpose has been to fulfill the genealogical needs of The Church of Jesus Christ of Latter-day Saints. FamilySearch is funded, primarily, through Church donations. From its rather humble beginnings in the then frontier city of Salt Lake, FamilySearch now serves millions of people worldwide, both in and out of the Church. Present reports show that FamilySearch has more than 750,000,000 historical and genealogical documents online from over 100 countries around the world. The records have primarily come from the vast collection of over 2.4 million rolls of microfilm stored in the Granite Mountain Records Vault and Field Operations center just east of Salt Lake City in Little Cottonwood Canyon. The vault is in a canyon wall beneath 200 meters (700 feet) of solid granite, and is climate controlled to maintain optimal storage conditions. Digitizing has now replaced the microfilm format and efforts to digitize records worldwide continues at the rate of the equivalent of over 40,000 rolls a year.In addition to the vast collection of microfilms records, FamilySearch also has over 1,000,000 documents on microfiche. Altogether, FamilySearch has about 3.5 billion pages of family records. The Online Records Access program includes acquisition of the records, scanning and digitizing the records, indexing the scanned and digitized images and then publication online. The 750,000,000 records processed so far are on the Beta.FamilySearch.org website. As of October, 2010, only 2.6% of the indexes have been published and only 1.1% of the images are published online. If you do the math, you can see that the end product will contain about 75 billion images. 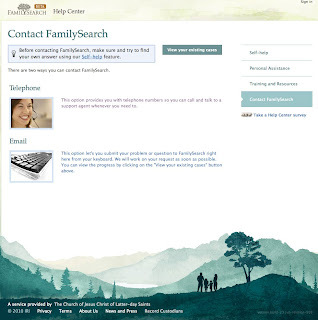 All of these images are or will be available free online and the large network of Family History Centers, now called FamilySearch Centers, around the world. On 28 October 2010, FamilySearch announced the addition of over 2 million more records added to its online site. As the records are scanned more than 375,000 volunteers are involved in indexing the records. The indexing is open to the general public and everyone is invited to participate at FamilySearch Indexing. More than 300 million total names have been indexed and the goal for 2010 is to index over 200 million during the year with 148 million names indexed so far this year. In all of 2009, 139 million names were indexed. However, at the current rate, it will take 300 years to finish the indexing. Needed to complete the job are a lot more indexers and especially indexers in languages other than English. Note, most of the statistics in the post came from a presentation at the First Annual Bloggers Day at FamilySearch.org in Salt Lake City, Utah courtesy Jim Ericson, Software Community Manager. If the numbers are wrong, it is my fault for not writing them down correctly. 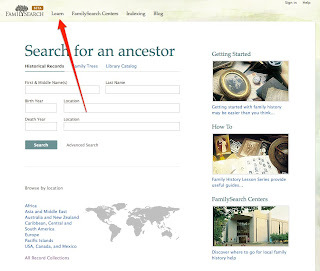 The top ten genealogical repositories -- on line? Access is the issue. Size is really not the issue, especially if there is no access. A recent Blog post listed America's Top Ten Genealogical Repositories. Rather than just look at a list of the largest repositories, it more useful to consider not only the size of the collections but the availability of the items stored in these vast libraries. For example, the National Archives (NARA) is a huge repository of stuff, but is it accessible? Footnote.com has digitized over 69,000,000 documents, most from the National Archives, but how does this compare to what is there? The archival holdings of the NARA number more than 10 billion pages of unique documents. Many of the documents are handwritten, and include formats such as maps, charts, aerial and still photographs, artifacts, and motion picture, sound, and video recordings. Footnote has yet to reach 1% of the records and Footnote.com (now owned by Ancestry.com) is a subscription website. About half of the documents in the National Archives are described in its online catalog, the Archival Research Catalog. but only about 126,000 documents are online through the catalog. Quoting from the NARA website, the Archival Research Catalog (ARC) is the online catalog of NARA's nationwide holdings in the Washington, DC, area; Regional Archives; and Presidential Libraries. ARC is a work in progress; currently over 63% of the records are described in ARC at the series level. Now, what does this mean? It means that only an extremely small percentage of the vast holdings of the National Archives is readily available. The rest is available only to those who either visit the Archives to do research or hire someone to do so. Likewise on a very small percentage of either the Library of Congress or the Family History Library are yet available online. The other libraries would have similar percentages of online materials. So what is the conclusion? 1. Despite the impression of many would-be genealogists, only a very small percentage of the holdings of the larger libraries has been digitized online so far. You still have to go to the libraries to use their books and other materials. 2. The larger libraries are very large, with many times the holdings of the smaller libraries, even those still in the top ten. For example Number ten, the Sutro Library has 150,000 books. The Library of Congress, on the other hand, is the largest library in the world, with nearly 145 million items on approximately 745 miles of bookshelves. The collections include more than 33 million books and other print materials, 3 million recordings, 12.5 million photographs, 5.3 million maps, 6 million pieces of sheet music and 63 million manuscripts. Here's how it stacks up. Not an exact comparison, books do not necessarily equal documents, but the numbers give you a rough idea of the scope of the issue of availability and the difference between number one on the list and number ten. It should, of course, be noted that the Family History Library in Salt Lake City, Utah has committed to digitizing its entire collection of 2.4 or 2.5 million rolls of microfilm. It is already well into the project which can be viewed online at Beta.FamilySearch.org. 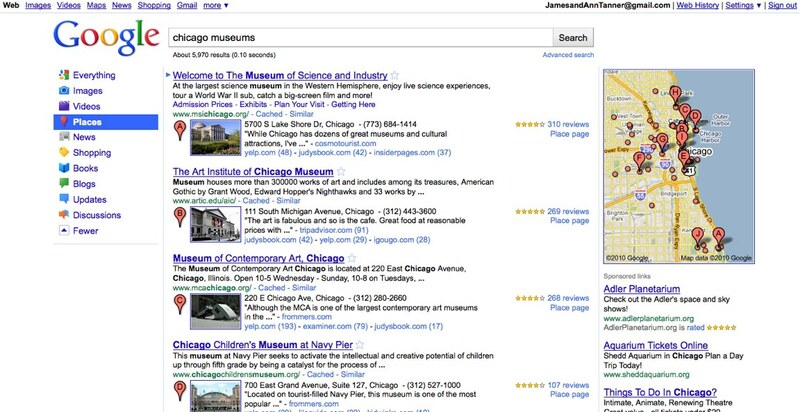 As introduced, the Official Google Blog stated, "Today [October 27, 2010] we’re introducing Place Search, a new kind of local search result that organizes the world’s information around places. 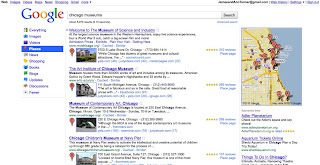 We’ve clustered search results around specific locations so you can more easily make comparisons and decide where to go." As a genealogist, I am always going somewhere. Usually a library, repository or cemetery. Sometimes even a really strange semi-historical place where my connection is through my ancestors, like Lee's Ferry or Kerlin's Well. As Google notes: "We’ve made results like this possible by developing technology to better understand places. With Place Search, we’re dynamically connecting hundreds of millions of websites with more than 50 million real-world locations. We automatically identify when sites are talking about physical places and cluster links even when they don’t provide addresses and use different names (“stubb’s bbq” is the same as “stubbs bar-b-que”)." When the feature is implemented, I will check it out and report back on a future post. I guess that a good use for the new feature is locating cemeteries and the surrounding features. But, I can see it working in a number of ways to assist retrieving online information. Top ten genealogical repositories in America -- have you been there? In a recent FamilySearch Blog post on 25 October 2010, DiltsGD offered a list of the top ten genealogical repositories. 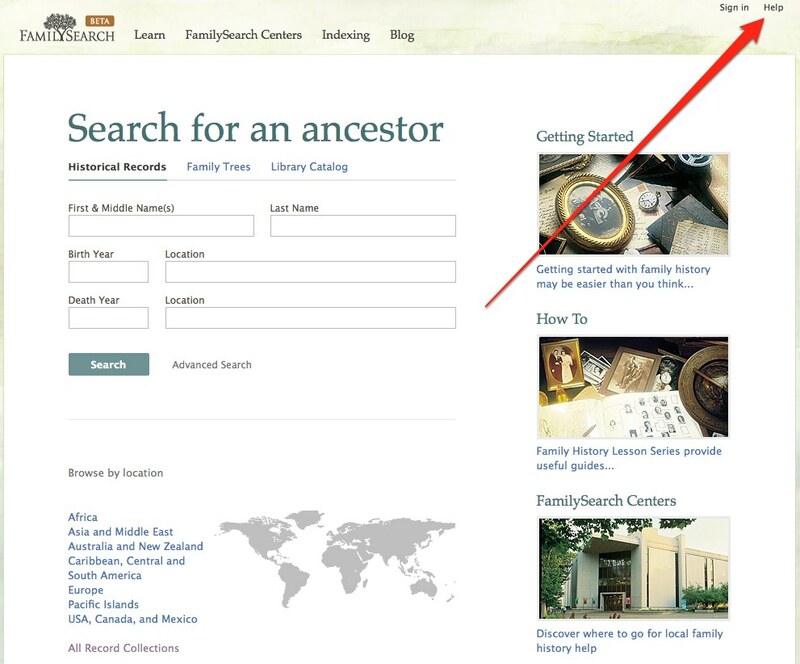 There is no doubt that the libraries on the list offer huge genealogical resources, but the most important question for researchers is how accessible are the collections? What access is there to the vast stored material? How much of what the library contains is original source documentation and how much is just copies of what is available from other libraries? None of these questions is easy to answer. One way of looking at the collections is to rate them by the level of availability. For example, the Library of Congress is undoubtedly the largest library in the U.S. but how available are it contents to the general public (including all the genealogists)? Not very. The huge collection in Washington D.C. and surrounding areas is not generally available outside the library. 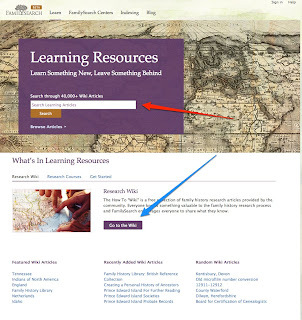 A search of the Library of Congress website on the term "interlibrary loan" returns no results. Likewise, the Family History Library has limited provisions for sharing its materials outside of the library itself in Salt Lake City, Utah. Loan requests between branch libraries in the same local library system are usually filled promptly, while loan requests between library systems may take weeks to complete. However, if an item is rare, fragile, or exceptionally valuable, the owning library is under no obligation to release it for interlibrary loan. Some collections and volumes, especially bound journals and one-of-a-kind manuscripts, are non-circulating, meaning that they may not be borrowed. Books may be delivered by mail or courier service. Photocopies may be faxed or scanned and delivered electronically. Urgent requests are placed if the item is needed right away, sometimes for additional fees. Public libraries do not usually offer urgent service. Contrast this with the Allen County Public Library which states, on its website, "Interlibrary Loans: The library uses ILLiad software to expedite interlibrary loan service to ACPL patrons. You need to register with ILLiad the first time you use it. Subsequently, logging on with library card number and password will connect you to ILLiad. You can make requests, track your requests, view your request history, and receive your articles electronically." ILLiad is the electronic system used to request an item through Interlibrary Loan. The name ILLiad can be thought of as an acronym for InterLibrary Loan internet accessible database. So from the standpoint of availability to those living outside of the normal service area, the public libraries like the Allen County Public Library and the New York Public Library offer some advantages in obtaining copies of materials in their collections through interlibrary loan. What about electronic access? All of the large libraries have extensive online catalogs of materials. For example, the Sutro Library which claims to have the largest genealogical collection west of Salt Lake City, is part of the California State Library system and its collections can be searched in the California State Library Catalogs. Overson, Margaret Godfrey Jarvis. George Jarvis And Joseph George De Friez Genealogy. Mesa, Ariz: M.J. Overson, 1957. Guess what? A search on WorldCat.org says that both the Allen County Public Library and the Library of Congress have the book. At the Library of Congress the book is available at the Jefferson or Adams Building Reading Rooms. The item is also available at the Allen County Public Library and probably is available on interlibrary loan. See http://acpl.aquabrowser.com/?itemid=|acpl-bibs|ocm18555441 By the way, the book is also in a number of other libraries including the Arizona State University Library right here in Arizona. (Assuming I didn't already have a copy of the book of my own). So, its nice to know that these huge libraries have the books or other records, but it is also nice to know if the materials are available outside of the physical location of the library. Next, what about online access? Both the search area and the link shown by the red and blue arrows take you to the Wiki itself. In addition below the search area shown by the red arrow, there is a link to browse the Wiki articles. I recommend the Wiki as the number one go-to place on the Internet to get started researching your family history. I admit, you could go to one of the major online subscription sites, but in almost all cases searching for information on those big databases, for the most part, doesn't educate you on other sources that may have the information you are seeking. I must admit that Ancestry.com does have its own Wiki which is also a valuable resource, but it is very U.S. centered and does not yet have the international links and vast research information contained in the FamilySearch Research Wiki. OK, so all that is well and good, but what about the content of the Wiki. It is true, the Research Wiki is a work in progress. There are still thousands of pages begging to be added. I was totally intrigued by one suggestion made by Diane Loosle of FamilySearch at the recent Bloggers' Day, she keeps her research notes in the Wiki. In other words, when she discovers sources or new places to look, she adds them to the Wiki so that she will always have the resources available. She also suggests that the Wiki is also the place you can go to share all the experience and information you have learned over your lifetime of doing genealogy. Adding your experience to the Wiki will help to keep that information alive for future generations of genealogists. Here is another suggestion from Diane Loosle, society pages. To quote from the help page: "Family history or genealogical societies are mentioned in many articles throughout the FamilySearch Research Wiki. Societies can join one of the largest genealogical Wikis in the world by creating a page for your society that includes a snapshot of the benefits and activities of your society." In addition, societies, archives and other family history organizations are encouraged to adopt a page. See Adopt-A-Wiki-Page - General Information. The Research Wiki also has Wiki Projects and Teams. For example, check out the "Indians of North America." After you have clicked on a few of the links you will begin to appreciate the vast amount of information that is already in the Wiki. If what you are looking for isn't there today, be sure to look tomorrow and you might just add the information in yourself. RootsTech is a new conference three-day conference designed to bring technologists together with genealogists, so they can learn from each other and find ways to work together to develop new products and services. As a conference participant, you will help define the future of genealogy through technological advances. I am very much interested in the concept and intended subject matter of the Conference and will continue to post about upcoming developments. As soon as I got back from Utah and my visit to FamilySearch, I taught two classes at the Fall Genealogy Workshop of the Family History Society of Arizona. The conference seemed very well attended but being at a genealogy conference raises some issues, including whether or not attending a genealogy class is more entertainment than education. The classes I taught were on specific software products and it was interesting that more than a few of the attendees had purchased the software at a previous convention and had either never loaded it on their computer or after loading it on, had never used it. In the regard, I reflect on all of the many hundreds of genealogy classes I have taught over the past few years. Some of the classes have been attended by the same people, on the same subjects, time after time. Yet, each time I teach the same class over, I get similar comments and over time, when I ask if anyone has used the program or whatever, the percentage of actual use never seems to increase. For example, I regularly teach a class on using Google for Genealogy. Even though I repeat the topic almost two or three times a month and some of the same people attend the class repeatedly, they still never seem to spend the time to learn a little about Google themselves. So, is the class entertainment or education? I guess I would have to conclude that it is largely entertainment. So what would I suggest? I suggest going to conferences with a specific agenda in mind and further with a commitment to implement the positive things learned at the conference. If I go to a genealogy conference and sit through classes on a software products, then when I get through I should be in the position to make a choice about which product to purchase. If I like what I see in a certain product, I should be committed to making the purchase and learning about the program. The experience I mention above about software applies generally to many of the topics covered at a genealogy conference. Granted, genealogy software is not that expensive, but it is still a waste of money and time to purchase a product if you do not intend to use, or at least evaluate it for use. The same suggestion applies to classes on organizing genealogical data or using sources. Unless we are prepared to internalize the class topics and actually change our behavior patterns, then attending the class (and the conference) is little more than recreation and entertainment. Most conferences have a syllabus which in some cases have detailed summaries of the classes being offered, carefully study the syllabus or outline and determine which classes relate directly to things you are willing to do. I like to take classes I know nothing about, just to know. But, I always to into the class with the attitude that, if there is something of value, I will soon implement the suggestions or make the changes suggested by the class. This is not to say that every class I attend is pivotal in genealogy career, but when I do attend a class I am always committed to implementing the things I learn, if that is possible. Likewise, if I learn about something in the class, I try to use the new information in a productive way. I see no problem in attending a genealogy seminar for social or recreational purposes, but don't kid yourself into thinking you are actually learning anything, unless you are prepared to do so. I figured I had written enough in the last six posts for anyone who cared to have read, but I thought I would add just a short note on our visit to Salt Lake City and the headquarters of FamilySearch. FamilySearch is a large and complex organization. Although controlled, to some considerable extent, and sponsored by The Church of Jesus Christ of Latter-day Saints, it is a separate company with a very delineated structure of employees. Although the whole Raison d'être of the company lies with Church doctrine, the employees are professionals in every sense of the word and do a very good job of balancing the religious mandates with the secular needs to get the job done of maintaining all of the FamilySearch resources. I have read items online that somehow question either the motive or quality of the FamilySearch products and even that of the Family History Library on religious grounds. Although the extensive discussion of New FamilySearch may have less interest to those who do not yet have access, there was very little, if anything, in the very long discussion yesterday that did not apply generally to those outside the religious mandates. The FamilySearch team is well aware of most of the limitations and flaws in the present program offerings and are working hard to overcome those difficulties in the context of the existing structures of the program. Sending feedback to FamilySearch on any of the websites or programs is essential to help them focus on the real world issues and concerns of the users. I felt everything said by the Bloggers was well received and given careful consideration. The whole session was recorded on video to allow employees not present at the briefing to hear the comments made by the Bloggers. Just as I find the FamilySearch Help Center to be a valuable resource, I found the same attitude from those at FamilySearch. I thought they maintained quite a good attitude given the almost insurmountable issues with the data in New FamilySearch. I felt that it was an extremely valuable experience and well worth the time to come to Salt Lake. I hope they do it again some time and I get invited. FamilySearch paid for travel expenses and meals for participants in the Bloggers’ day. There were no understanding or agreements concerning whether or how any Bloggers would cover the event. More observations and notes directly from the Bloggers Day at FamilySearch sitting in the briefing room. (The views and observations in this post and others are my own, they are not necessarily those of the presenters or FamilySearch). This is the sixth set of observations. Some of these notes may be rather obscure, I would suggest that you send me a comment with any questions. I will also try to clarify issues in future posts, if there is interest. More on New FamilySearch. One of the many issues in making changes to the huge database already online is the issue of sources. For example, the issue is standardization in source citations. Do all of the source citations have to conform to a certain format? What about the preservation of links to external sources, what happens if the original citation source online is no longer there (the link is broken)? There are huge questions to be answered before certain. 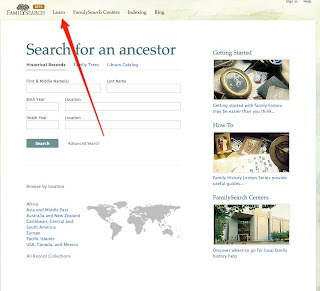 FamilySearch Records Access: Collections coming on Record Search. Providing more records, to more people, faster. The goal is to add the images, then provide first light indexes then later heavy indexing. In the end the hope is to provide family linking. A good example is that 100% of the Argentine records, 5 million images, will be online before the end of the year. However, they are proceeding with the indexing. Selecting Locality Priority is a huge part of the ongoing challenge facing FamilySearch. There was an extensive discussion of the affiliate partnership issues with making documents available online. 70 million records including 28 million images published in the last ninety days. Every single week new content is going online. The amount of information being provided is staggering. It will likely take me some considerable time to digest. FamilySearch.org: Where is it going? The main emphasis seems to be that FamilySearch will foster collaboration and connections between users. Of course, the direction is mostly indicated by the Beta.FamilySearch.org website, but that site is still under development. There was a review of all of the records that are currently available and how they are being migrated to the Beta FamilySearch website. The Beta site had 35 thousand visitors yesterday as an example of the huge interest in these websites. There are presently 105 Research Courses videos online on the Beta FamilySearch.org website. As you can see, there was a lot of information in a concentrated format. More observations and notes directly from the Bloggers Day at FamilySearch sitting in the briefing room. (The views and observations in this post and others are my own, they are not necessarily those of the presenters or FamilySearch). This is the fifth set of observations. DevNet.FamilySearch.org: Presently 776 Members of the DevNet. Working on making connections with the software community. Check out the FamilySearch software community. New programs; Tree Seek, Mac Family Tree, Gaia Family Tree, Cemetery Maps in Names in Stone, FamilyChartist and many more I did not have time to write down or link. AncestralHunt, The Next Generation, Family Pursuit, RelatedFamilies, EasyNetSites, many more that went by really fast. Digitally preserving personal family histories: Quote from the presentation and the available PDF document: Digital Preservation "is NOT merely backing up your data! Rather, it is a process that involves storing digital records (i) with descriptive information (ii) for a very long time (iii) in multiple locations (iv) at the highest resolution you can afford; (v) periodically migrating the records to new storage media in order to prevent data loss or the inability to read the data; also to take advantage of new storage technology; (vi) changing file formats before they become obsolete; and (vii) providing access to your digital collection now and in the future." The projections on the life of current storage media is relatively short, DVDs, CDs, hard disks all will live no more than five years on the average. Migration of documents in storage is necessary. I will write a lot more about this later. Digital preservation is not a one-generation project. Don't put off digital preservation. This is really interesting topic and deserves more attention. New.FamilySearch.org FamilySearch really does want to reduce duplication. Far Eastern users are now on New FamilySearch, every Temple district in the Church will be now on New FamilySearch. Everyone. Now working on No More Disputes Part Two. Adding a feature called Watch and Ancestor. A very entertaining presentation, reviewing all the problems we all know about and what they might do to change it all. The major concern is the ability to change and source all of the information presently on the database. There are 1.4 billion records in New FamilySearch. More observations and notes directly from the Bloggers Day at FamilySearch sitting in the briefing room. (The views and observations in this post and others are my own, they are not necessarily those of the presenters or FamilySearch). 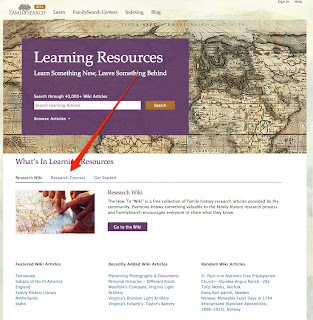 FamilySearch Wiki: Community knowledge for and about the community. The Wiki gives access to help that is essential to genealogical success. It magnifies the impact of research experts and preserves and shares the genealogical community's knowledge. The Wiki is now part of the Beta.FamilySearch.org. The Wiki is now available in Spanish and Swedish (interesting). The site gets millions of page views a year so far and there are about 500 new articles a week. There are about 456,000 edits to the present time. The Wiki can be used by researchers to enter their research notes to enable them to remember their experience and also to share the experience with others. So, keep your research note information on the Wiki? Sounds like a good idea. Relevant to family history societies to put online the information about their society. They have special society pages. Pages can also be adopted by an organization. The Wiki should also be used to preserve the information that is held in the heads of the genealogical experts. The Wiki already contains unique information that cannot be found anywhere else on the Web. Coming soon, a simplified page creation process, upcoming content projects, need to get excited about putting on local lore and knowledge. FamilySearch Forums: We all know something that can help someone else. Forums gives access to those across the world who can help you anytime. Imagine sitting in a room of experts and being ask your questions. You do not need to be registered to ask and answer questions. There was a lot of technical discussion on this topic. More observations and notes directly from the Bloggers Day at FamilySearch sitting in the briefing room. There are more questions and comments than could ever be reported, at least by me. (The views and observations in this post and others are my own, they are not necessarily those of the presenters or FamilySearch). As a note, I was worried about having electrical outlets to keep the computer and etc. running. There are about ten outlets every three feet or so everywhere. FamilySearch Indexing; Accessing microfilm is a process of negotiations with those claiming rights to the records. The process is acquisition, scanning, indexing, and publishing online. 3.5 billion images in the 2.4 million rolls of microfilm in the Granite Vault. Only 1.1 % of the records are now online. No collections are being added to Pilot FamilySearch all new records are going into the Record Search on Beta.FamilySearch.org Indexing started in 2006 and all of the public is invited to participate. 1/3 of the microfilms have now been digitized but obviously not yet available. Goal for 2010 is 200 million names indexed. There is an involved process in setting priorities for the setting up of projects for the Indexing participants based on a number of factors. It is estimated that it will be 10 more years to digitize the records in the Granite Vault and 300 years, at the present rate, to index the records. Many people do not even know that this project exists. Non-English speakers are needed for volunteers. They will be allowing indexers to see how their batches have been arbitrated. Quality is more important than quantity in the Indexing program. Family History Library/FamilySearch Centers: There are 4600 Family History Centers and adding about 100 a year, mostly in Latin America, Africa and other countries. 6 million visits annually to Family History Centers with 50,000 volunteers. Day to day operation of the Centers is under the directors and local ecclesiastical leaders. 63% of patrons at the Family History Library find and ancestor when this is a goal. For anyone who uses a Family History Center computer, you may be aware of the survey request that pops up periodically, it is a good idea to take the survey. One of the issues is predictability of the Family History Center experience. There is also a concern that the Centers are open when they say they are. The plan is that space will be provided online for the FHCs to give information about their services and hours etc. Riverton is a substantially different Family History Center than the other regional centers. Questions about difference between digital and actual copies of books and their possible availability. FamilySearch is working on scanning equipment to allow patrons at FHCs to scan their own materials but this is still in development. FamilySearch Online Research Courses: Goal is to deliver free online family history training to the world. Over 100 online research courses available today. There are included 31 Reading Handwritten Records lessons. FamilySearch is partnering with other genealogical organizations to provide instructional online presentations. There is also a goal to deliver core curriculum for beginners. The discussion revolved around the issue of providing an online mechanism for the dissemination and distribution of the online classes and other materials. This is an exciting area of development for the future. In order to keep these posts at a manageable size, I will continue posting in series. FamilySearch is seeking a second location redundant archive site to backup the records, such as those in the Granite Vault. Experimenting with scaling services world wide with scaling of services increasing world wide. The Riverton Center is an example of the interest generated in genealogy by the new facility. The Riverton Center consolidates a large number of smaller Family History Centers in order to offer better training and resources. The name FamilySearch, will continue to be used more frequently as a brand but there is no present plan to replace the names of the present Family History Centers, although it could happen. There are some serious issues with determining the actual model of the Family Tree structure (i.e. New FamilySearch). Correlation is one of main issues between all of the disparate submissions and having a collaboration model that will resolve some of the issues present in the program. They are more than aware of the unreliable data and lack of sources. Implementing a quality source mechanism is a high priority. 500,000,000 indexed records so far in FamilySearch Indexing. FamilySearch is looking for better search strategies, storage of new data, preservation of old data, software that uses less space, improved research tools and services with online records, understanding digital preservation, improved and consistent sourcing tools. Rootstech a new genealogy and technology conference in Salt Lake City 10-12 February, 2011to be held in the Salt Palace, to define the future of genealogy and family history research; helping technology users and creators work together to find solutions; foster technical innovation and collaboration in genealogy; educate software developers on the best solutions; attract genius to help solve genealogical problems; a conference for beginners, intermediate and advanced users. This post will be one of series during the day in Salt Lake City, Utah, stay tuned. We started the day before sunrise while Salt Lake City was cold and dark. Arizona is one of the few U.S. places that does not have Daylight Savings Time, so we never get used to having the time difference when we travel. The hotel where I stayed is right next door to the Family History Center, so there are a lot of genealogy looking folks going up and down in the elevators. Salt Lake is a town that you can actually walk around in and see something, unlike Phoenix. The Joseph Smith Memorial Building, where the FamilySearch presentations are taking place, is only one long block from the hotel. The morning starts off with breakfast and an orientation. I am usually loaded with electronic devices and today is no exception. I made sure all of them were well charged. I have found free (or as they say, complementary) WiFi networks all over town, including the Family History Library, so I have had no trouble connecting to the Internet. However, I do have a Verizon WiFi card with me, just in case. Salt Lake has a fair amount of history for a town only 150 or so years old. But despite that history, the whole downtown area is under construction. There is a whole row of new buildings on South Temple just south of Temple Square and we noticed about five large walking cranes where new buildings are going up. Compared to Phoenix, Salt Lake is a cultural gathering place. There are always conventions, concerts and cultural events, with something going on all the time. It is very interesting to meet the Bloggers, some for the first time. Shipley Munson gave a broad explanation of the staff and functions of the FamilySearch organization. We heard from Jay Verkler, President of FamilySearch. A little bit of history and a lot of explanation about the role of FamilySearch in the greater genealogical community. One of his main themes is an enduring legacy that builds upon previous efforts. There will be a number of short presentations by marketing, product engineering, information services, genealogical coordination and patron services. My stop off in Utah Valley to visit family was too short, but now I am in Salt Lake and ready to attend the first ever Bloggers Day at the FamilySearch. Randy Seavers and I had a pleasant dinner together and did a very short whirlwind tour of the FamilySearch Center in the Joseph Smith Building and other sights around Temple Square. When I got lost and ask for directions to the "Family History Center" the guides said, "Oh, the FamilySearch Center." So they are well into the transition. (I don't do right and left very well, so telling me to turn left at the bottom of the stairs doesn't help me much). I was pleasantly surprised to see a display in the FamilySearch Center on George Crosby from Greer, Arizona. Although I am not related to the Crosbys, I knew George and have known a lot of his children, grandchildren and great-grandchildren. The display had some original documents, such as a marriage license and a book on his life. I recognized the names of all of the witnesses and the judge who signed the license, Levi S. Udall, was the son of David King Udall. My Great-grandmother, Mary Ann Linton Morgan married David King Udall after her first husband died. I could go on and on with the connections but genealogy makes for a very small world. The weather here is perfect. I brought a coat, being from the low desert, but I will not need it while I am here. I am looking forward to the full agenda tomorrow. I expect that it will provide topics for many blog posts in the near future (not that I was running out of things to say). I briefly walked through the Family History Library, to see if they had changed anything. They have a lot more computer stations than I remember, but that was about all. I know there are those of you who are wringing their hands with me in Salt Lake and not doing research, but I am processing the thousands of pages of documents I already have. But just to keep in shape, I did go to the Church History Library and found Salt Lake City Directories and took a few pictures of the pages with references to my Grandfather and Great-grandmother. I didn't want to lose the touch and I can always use more references and sources. While I was at the library, I said hello to Ardis E. Parshall of the Keepapitchinin Mormon History Blog. She is a noted researcher and historian and a long time blogger. It is always a little bit of an adjustment to go from almost 100 degree weather in Mesa to anywhere else. This is especially true this week in Utah, with temperatures at night into the 30s. We hardly ever see temperatures that low. I am here for the FamilySearch Bloggers Day. It looks like it could have been a week of genealogy, had I been more aware of what was going on. There was a Utah Genealogical Association annual banquet reported by Kimberly Powell and there is an International Commission for the Accreditation of Professional Genealogists Conference, October 22nd and 23rd. This is just a small indication of the huge research resources that are available in and around the Salt Lake Valley. Northern Utah is generously endowed with large Universities. Salt Lake has the University of Utah which has a huge research library, the J. Willard Marriott Library, where I worked through most of my academic career. In addition, The Church of Jesus Christ of Latter-day Saints, in addition to sponsoring the Family History Library, has a brand new Church History Library and Archives building full of resources about a long block from the Family History Library. Utah Valley has many famous libraries. Utah Valley University's Digital Learning Center features cutting-edge technology and has been called the "greenest" state-funded building in Utah. Equally as impressive is Brigham Young University's Harold B. Lee Library, which is among the top 10 university libraries and includes over 9 million volumes, microfilms, government documents, maps, films, etc. One highlight of the Harold B. Lee library is the BYU Family History Library, which is the second-largest genealogical library in the world! Check out a book or just take a look around one of the beautiful and impressive libraries located around Utah Valley. Every time I come to Utah, I like to go to the BYU Bookstore and look through what they have for Family History books. Outside of the genealogy conferences, the BYU Bookstore has one of the largest selection of books for sale on genealogy. Utah has eleven four-year universities, with five of them in the Salt Lake and Utah valleys. I end up doing a lot of my research at the Harold B. Lee Library due to the proximity to my daughter's house. There are a lot more resources in Salt Lake for genealogy than just the fabulous Family History Library. As new additions are made to the ever growing Beta version of the hugely popular FamilySearch.org website one valuable resource is the Feedback and Community Support. The url for the Feedback and Community Support has the promising title of "getsatisfaction.com/familysearch." The site has links to the FamilySearch Support knowledge base, personal assistance and how to contact FamilySearch. The topics covered on the Feedback and Community Support site reflect the current state of growth of the Beta FamilySearch.org website. From its inception about six months ago the Feedback and Community Support site has had a slow growth curve. Today's activity included 8 new topics including "We want the actual image of the records that were available earlier" to "Browsing records using the FHL catalog number. "Although the numbers of users of this site are not large, the help provided is extensive. As the Beta site is converted into the primary site, the Feedback and Community Support site will be a welcome adjunct. The amount of in-depth support for all of FamilySearch products is staggering. 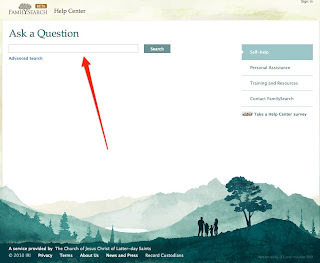 Not only is there a hugely helpful Help Center, but also Forums.FamilySearch and now, Feedback and Community Support. There is literally no excuse for not finding an answer to almost every conceivable question about the FamilySearch websites and other products. The FamilySearch Indexing program had an upgrade recently as explained in a blog post by GaleK dated October 19, 2010 entitled, "Is Your Indexing Program Up to Date?" As the article explains, "You'll know you have this new version of the program if your indexing desktop icon changed from a blue icon with a white tree to a tan (or parchment paper) icon with a black tree. If you don't have this new icon or if your icon changed to a Java coffee cup, please follow the instructions in this document to upgrade your program." Indexing is the FamilySearch program in which volunteers are indexing records scanned from huge 2.5 million microfilm database of The Church of Jesus Christ of Latter-day Saints. FamilySearch is the trademark and trade name of the Church's genealogy department with primary responsibility over the online services. By July of 2010, the FamilySearch Indexing volunteers had indexed some 100 million records since the first of the year. The results of that tremendous work can be seen in constant additions to the FamilySearch Record Search Historical Record Collections database. As of October 19, 2010, the Historical Record Collections had 473 collections with millions of individual records. We arrived late Monday, October 18, 2010 for the FamilySearch conference on Thursday. Blogger Randy Seaver posted the agenda for the conference on his post, "I'm off to Salt Lake City for Blogger Day at FamilySearch, and more." Since a significant portion of my family and almost all of my wife's family live in or around Salt Lake and Utah Valley to the south, we planned to spend a couple of days visiting. I was reminded that I used to spend part of my summer vacation every year researching in the Family History Library. My wife and children would visit with family, while I spent my days sitting in the library. Lately, most of my visits to the Salt Lake area have been for funerals, new babies or reunions, all family related activities. It is interesting, that Salt Lake is easily the premier go-to location for genealogy research. There are many fine libraries around the U.S., some much larger, but the resources of the Family History Library are enormous. But in contrast, I am fascinated with the FamilySearch online digitization project. The ultimate goal of the project is to make all of the resources of this extensive collection of books and microfilms available to the general public, free, online. In other words, the Family History Library may drastically change the availability of its collection and thereby change the way the library is used. It looks like the topics to be covered by the presenters will give us a lot of information. Which I hope we can pass along. Like Randy, I am honored to be included in this select group. I should probably disclose, just like others, that FamilySearch is paying for my airline travel, hotel accommodations for two nights, incidental expenses and several meals on Thursday. The Beta.FamilySearch.org website is continually in development. I recently asked a question about an E-mail announcement of a new beta test linked to a survey. I found out from a response to my post, that the intent of the letter was to encourage a wider participation in the beta test. It was not intended to limit anyone from participating. Apparently, it was supposed to be sent to potentially new beta testers and I was already in the list, hence the confusion. The beta test has yet to start, so all of the prior beta testers will be notified along with any new ones recruited with the E-mail. So FamilySearch is still looking for additional beta testers. So much for speculation. You would think after all these years I would learn that speculation was not very reliable. As I get older and the people I help seem to get younger, it seems like more and more I field questions about people who were born in the mid-twentieth century (i.e. my contemporaries). I am still surprised when I ask someone about their grandparents to find out that I am older than the grandparents. It is a fact of genealogical life that unless a person was born before about 1930, it is difficult to find any documents about that person. The genealogical contradiction is that it becomes increasingly more difficult to find a contemporary person closer to the present, just as it becomes more difficult in the distant past. It is not uncommon for people I meet to not know one or both of their parents. In a number of instances recently, the person knew a name and nothing else. The reasons for not knowing a parent are varied, but follow a common pattern. Sometimes the parent or grandparent is not just unknown, but actively persecuted by the remaining family members as in "we don't talk about him at all." #1 Finding contemporary individuals who may still be living. There are two possible extremes when looking for living individuals, those whose identity we know and those we don't. The first category is pretty simple and straightforward. The second is a problem. In the first category are those people with whom we have "just lost contact." They aren't hiding or avoiding us, we just don't know where they are. To help find people who aren't hiding, there are dozens of online resources for locating people both for free and for a fee. One example, the white pages from Dexknows. (if you look for your own name, you may get the idea that privacy is an illusion). The second category, people who do not want to be found, are slightly more problematical. The process of looking for these people is called a "skip trace." It is important to understand that depending on your time and resources, nearly everyone can be found. #2 Finding people who only recently died. In the U.S., the master source for recently deceased individuals is the Social Security Death Index. Most U.S. citizens are subject to Social Security and the death of anyone who dies who is covered by Social Security should be reported by the mortuary, a relative or other interested party. This works for nearly all deaths back to the early 1960s, before then, more people were not covered by Social Security and finding their death information can become very interesting and difficult. If you know where the person lived, you job is much easier, you can search obituaries and death notices in newspapers. Most obituary indexes go back only a few years, to about the 1970s, so you may need to search the newspaper. #3 Finding people who are hiding. I mentioned skip trace. Well, there is a whole industry built up to assist in finding people. Not usually for genealogy, more likely for debt collection. A Google search on "skip trace" brings up well over a million results. Let's just say that skip tracing is a very developed activity that produces results in almost all cases. It is very difficult to really disappear. Here is a pretty good description of the process. #4 Finding people who are legally unknown. Adoption is the main reason that for having people that are legally unknown. Originally, adoption was a public matter, but during the 20th Century, due to increased privacy concerns, adoption records were sealed and became very difficult to obtain. Just as with skip trace, a whole industry has arisen around the issue of finding one's birth parents. A Google search on "finding birth parents after adoption" shows 457,000 results. Before hiring anyone to search for birth parents, I would certainly take every precaution to investigate the individual or organization and obtain verifiable references. This is an area that is ripe with the possibility of scams. #5 The person is really unknown. The reasons people are unknown are a varied as the human experience. A baby may be born out of wedlock and the father unknown (or unrecorded). These situations are not limited to finding contemporary individuals, but are common throughout any given ancestry. Almost everyone will encounter the mystery father, the one who is not mentioned by anyone. In these cases, the real detective work begins. I am aware of a few success stories, but many times pertinent documents are simply unavailable. In this circumstance, as in most other end-of-line situations, the more information you gather about the individuals you can identify, the more likely you are to solve the mystery and identify the unknown person. In cases where there a lot of resources (read money) involved, a researcher may have to resort to DNA testing and other methods to give some leads into parentage. #6 There is no information. Absent the possibility that the unknown person was really an alien from outer space, there are a number of perfectly rationale reasons why a person cannot be identified. The major reason is name change. People do change their names for a variety of reasons, not all for criminal purposes. It is fairly common for immigrants to change their names upon entering a new country to appear more like one of the natives. This process never stopped, it is still going on everyday. It is not infrequent that I will be sitting in court listening to several name change cases before the court gets to my case. Formal name changes are as possible to discover as any other court records. But, when someone merely starts using a different name it is more difficult to detect. Again, this is a case where it is imperative to do the research for the individual in known, available records and not jump off into the unknown too quickly. The general rule in all of these cases is to work from the known to the unknown. If you cannot find your grandfather, find out as much as you can about him personally before going off to search for his parents. In the course of learning about your father, you may find your grandfather. I was extremely surprised to receive an invitation to attend a one day Bloggers' Event in Salt Lake City, Utah hosted by FamilySearch. From the agenda on Thursday, October 21, 2010, it looks like a very full day of activities. I am currently on my way to Salt Lake, sitting in the Phoenix Airport. My wife and I are going to spend the week in Utah visiting family and also attend the event. I will attend the event, she will stay with my daughters and their families. I have quite a list of questions to ask and it looks like most of them will be covered in some form or another by the presenters. I will be reporting as much as I can. Just for information sake, I use a MacBookPro with a WiFi Hot Spot Internet connection. It should work from almost everywhere without problems. I look forward to reporting any new developments. I also am looking forward to meeting some of the Bloggers in person that, up to this time, I have only had the opportunity of reading about. Since I am still employed full time, I have not had the opportunity to travel to many of the conferences where I would have contact with the Bloggers. Stay tuned. The list of Bloggers includes twelve names, I hope to meet them all there in Salt Lake. A very selective New FamilySearch Beta test? Dear Member, We are looking for individuals who can participate in evaluating new.familysearch.org before each quarterly update. We need individuals with different levels of computer skills, family history backgrounds, languages, and new.familysearch.org experience. We try to evaluate this system and the new features every few months for about 2 weeks. Your evaluation and feedback will be greatly appreciated. Please click on "Take the Survey" below to begin the survey. OK, so I took the survey. It was not too long but ask a lot of questions about my use of the program. Then, nothing. No further communication about the Beta Test. Over the next week, I was asked a number of times by my associates at the Mesa Regional Family History Center if I had started the Beta test. Some had received the notice of the survey but no one seemed to have gotten the Beta Test notice. I did finally hear of one person who was notified of the Beta Test. We are speculating, of course, that is all we can do, that this test was aimed at some very specific types of users and they didn't really want input from some of us more experienced computer and New FamilySearch users? No answers, but an interesting question. In any event, if the E-mail message is accurate, we can look for another update to New FamilySearch in the month ahead. Just as a test, I ran a Google Book search on the term "genealogy." There were 1,280,000 hits. By adding a surname, "tanner genealogy," I got 12,900 results which included a number of full view books. Full view means that the entire digitized book is available online. As far as I can determine, this is the first update from Google as to the number of items in their online collection. Based on the size of the Google collection, they are rapidly gaining on the Library of Congress to be the largest repository of books in the world. Europeana.eu is about ideas and inspiration. It links you to 6 million digital items. This website is a prototype. Europeana Version 1.0 is being developed and will launch in 2010 with links to over 10 million digital objects. Just when you thought you were going to run out of things to look at online and additional places to research! Just type in your question using normal language usage. The other options include a more advanced search, which lets you filter your answer by topic, document type, publishing date and language. Be sure and note that the filter by topic option lets you ask questions about 24 different FamilySearch areas. and finally a way to contact FamilySearch directly. I have mentioned the Help Center before, but repetition is always good when it comes to learning where to go to answer questions. Can you copyright your scanned images? This post continues a discussion started by The Ancestry Insider in a post entitled, "Can Copyright Be Claimed on Digitized Public Domain Documents?" As The Ancestry Insider acknowledges, copyright protection is not an absolute, but a spectrum of possible coverages by the law. At one end, you have an original work, one you created entirely by your own efforts and is clearly covered by both the spirit and letter of the U.S. Copyright Law. At the other end, you have a document that is one of the exceptions to the law, either created by the U.S. government or old enough to have lost copyright coverage. The whole issue raised by The Ancestry Insider revolves around the question of what is and what is not in the public domain. As genealogists, we deal in documents, old, new and in between. Usually, we are more interested in the information than we are in the actual document and we are perfectly happy to copy out the information or use a photocopy. But the rise of cheap computer storage devices, such as flash drives, and very inexpensive scanning devices, including digital cameras, has created explosive growth in the availability and usefulness of high quality digitized images both for personal use and online. It is natural that new issues concerning copyright would accompany this growth in the availability of images. As an example, FamilySearch, the genealogical organization of The Church of Jesus Christ of Latter-day Saints, has a huge digitization project with the goal of digitizing the images from over 2.5 million rolls of microfilm. There are also other huge digitization projects going on all around the world. For example, the Library of Congress has now digitized millions of its documents and put them online. It is not surprising that copyright issues are at the forefront of the factors considered in putting together these huge online resources. Given that many millions of images are now freely available online, it is also not surprising that individual users often make copies without a second thought about copyright ownership of the image they are copying. These questions all correctly reflect the basic issue which I identify as whether or not the hypothetical situations are those of a copyright nature or are governed by patent law? Are we talking about the product or the procedure? It is highly unlikely that the average genealogist is going to run into an issue involving patent infringement by doing genealogical research and copying old documents. A copyright covers the work, not the procedure. The procedure or the equipment may be covered by a patent, but that is an entirely different question and not really relevant to the issue of using old documents. Patent law is very specialized and technical and I am not a patent attorney. This hypothetical question confuses the two issues of copyright and patent. Whether or not the process was unique and patentable would have no bearing on the availability of a copyright to the work produced. Just because the manufacturer either does or does not have patent on the camera or scanner makes no difference as to whether or not the work product is subject to copyright. The real question is whether or not there is a copyright in published works. The answer is yes. It then follows that even if you publish a million copies of a book, the book is still under copyright. That is the whole idea, a copyright is the right to make copies. So even if the photographer makes millions of copies, each one will still have the same copyright protection as the original, as long as the copyright exists and as long as the photographer owns the rights. Whether or not the process is known to others or even can be duplicated is also immaterial. Just about anyone can buy a digital camera and take a copyrighted picture. All they have to do is push the button. The fact that the whole world knows how to reproduce the process that creates the work makes no difference to the availability of a copyright. Skill, artistry, and experience are exactly what are protected by copyright law. Yes, they matter, yes, you have protection for your skill, artistry, and experience. Automation of the production of the process also makes no difference. If I produce a screen saver with a selection of my photographs and make copies for sale, I do not lose the copyright on my original work. Try copying a popular song and publishing it for profit and see what happens? Try putting on a copyrighted play like The Lion King without paying the royalties and see what happens. Do you get the point? The simple answer is no. The process does not affect whether or not a work is subject to copyright. OK, this question is more of a problem. Once again, the process has no bearing on whether or not the end product, i.e. the work, is subject to copyright. If what is meant here is that the technology allows you to reproduce what some one else has done in a more accurate fashion, then reproduction is not a way to avoid copyright. But if what is meant, is that the before, the process involved skill, artistry and experience and now anyone can have those results, the answer would still depend on the degree that those skills were still necessary. I someone takes an artistic picture of an old document and the work is considered subject to copyright, I do not avoid the other copyright claim merely because I can easily reproduce the work myself. Now, back to the issue of reproducing a work in the public domain. Let's say I have an old parish register that is impossible to read. I figure out a way to digitally enhance the image to make it readable. That is not a copyright issue. It is a patent issue. If the process is unique enough to satisfy the patent law and I obtain a patent on the process, as long as the patent exists that process is protected and anyone using the same process would have to pay me royalties. (This is a really simple explanation of patent law and should not be taken as an explanation of the whole process). Meanwhile, there is an entirely separate question, are any of the images produced by my system subject to copyright? I would have a hard time imagining a process so unique that it would automatically create a copyrighted product from a public domain document. That result would be very, very unlikely. Do any of the larger genealogical organizations that are digitizing documents claim a "copyright" in the documents they digitize? Well, yes, they do. Is their copyright claim defensible? Are you willing to spend the money to go to Federal District Court and find out? Nothing I say in these blog posts is to be construed as a legal opinion about any particular case or controversy. They are my opinion only and nothing I say or write should be construed to form an attorney-client relationship. Can enhanced, scanned images be copyrighted? In my last post, I started to answer some questions posed by The Ancestry Insider in his post entitled, "Can Copyright Be Claimed on Digitized Public Domain Documents?" Here is the second question of the series: "What if the document was the original Declaration of Independence, and the photographer employed the exact same treatments—lighting, creative angles, and so forth—as a way to create a photograph that was more legible than the original?" The next question asked by The Ancestry Insider is legally the same as the one above, it is "What if the document is already legible but for some reason considerable skill and originality is necessary to make the photograph as legible as the original?" The Declaration of Independence is actually a good example of a public domain document. The term "public domain" is not defined in the U.S. Copyright law but any work that is not specifically protected by the copyright law properly becomes part of the public domain. This is sort-of a backward definition. Once a work enters the public domain, no individual-not even the creator-may copyright it. See Golan v. Gonzales, 501 F.3d 1179 (Colo. 2007). The question from The Ancestry Insider raises the legal issue of what the copyright law calls a derivative work. In this case, the copyright law does have a definition in the statutes. "A “derivative work” is a work based upon one or more preexisting works, such as a translation, musical arrangement, dramatization, fictionalization, motion picture version, sound recording, art reproduction, abridgment, condensation, or any other form in which a work may be recast, transformed, or adapted. A work consisting of editorial revisions, annotations, elaborations, or other modifications, which, as a whole, represent an original work of authorship, is a “derivative work”." The questions asked by The Ancestry Insider, put into legal jargon, would essentially be whether or not the actions of the photographer were sufficient to create a derivative work. In the case of Eastern Am. Trio Prods., Inc. v. Tang Elec. Corp., 97 F.Supp.2d 395, 417-18 (S.D.N.Y.2000) the court held that "when a photographer “personally supervised the lay-out of the items that were photographed, positioned them in what she thought an attractive manner, selected particular angles and lighting, and in some cases even had the images enhanced by a computer to achieve the desired outcome ... [t]he creative elements asserted [satisfied] the minimal originality requirement for copyright." So the answer to the two questions above in both cases is yes, the enhanced photographs or scans would probably be copyrightable but the issue of whether or not a copyright could be maintained would depend on the degree of creativity used and whether or not the resultant photograph would be or even could be considered a derivative work. I would give my own opinion that if the only issue is legibility and there is no artistic intent, the photographer or scanner would have a much more difficult time convincing any court that the scan or photograph was a derivative work and therefore protected by copyright. I hope I get the time to answer the next questions. I guess we'll see what happens. First of all, I don't want to make this blog sound like a legal brief. Who, other than attorneys, would want to sit around and read legal briefs? Second, you can beat a topic to death. So, I don't want to get in a rut and drive across the Plateau on the same theme all the time. But, there is so much misinformation and folklore out there about "copyright" in the genealogy world that I feel compelled to speak up now and again. In his latest post, The Ancestry Insider generously cites some of my recent articles. He entitles his post "Can Copyright Be Claimed on Digitized Public Domain Documents." The real issue behind the questions seems obvious to me, it is: can a large commercial genealogy company go out and digitize public records (really old stuff) and somehow make a claim that they now own all the rights to the documents? By allowing companies and organizations to digitize these records, are we, the public, losing rights to view and copy the digitized images? In this regard, The Ancestry Insider asks another series of questions. The answers to the questions vary from legal to practical. Because that is what I do, I will try and answer some (or all) of the questions. It looks like to me, that the answers may take more than one or two posts. So, bear with me, I will get to all of the questions. I think I need to say something about legal answers. My father was also an attorney. One day, very early in my legal career I went into his office to ask a question. It was probably a pretty simple legal issue, but very new to me (like everything was at that time). After I finished explaining my question, he asked me a question back, "What do you want the law to be on that subject?" I said I wanted my client to win on the issue. He said so that is now the law, go to Court and prove it. In other words, in the United States we have a legal system based on English Common Law. We do not rely entirely on a long series of individual statutes (yeah, I could go on about that too) so much as how the Courts decide to enforce or not enforce the statutes that we have. Our system of law is based on a principle called stare decisis, in which our judges are obligated to follow precedents established by prior decisions. Becoming a lawyer is to a great extent learning how to understand and apply this principle to our clients' legal questions. So, to answer questions like those asked by The Ancestry Insider, as an attorney, I would go to the existing case law and see how the judges have already ruled. That gives me a very good idea of what they would do in the future in a similar case. As an attorney, I consider the cases, decide what the law will be and then go to court to prove my position. If I win, I am right. If I lose, I was wrong. Here we go on the first question: "If a photographer takes an artistic photograph of a public domain document—using colored lights, projecting textures onto its face, picking intriguing, aesthetic angles—would the result be a copyrightable work? (I assume the text of the document remains in the public domain, but that the photographer’s artistic rendering is copyrightable.)" This question has been addressed by the Federal Courts in a number of cases. Here is a quote from the case of Reed-Union Corp. v. Turtle Wax, Inc., 77 F.3d 909 (Ill. 1996), "Ansel Adams published multiple views of El Capitan in Yosemite National Park, in different seasons and lighting. He did not create the mountain, the park, the seasons, or the lighting, but his expression of those conditions is an artistic achievement. Anyone can take and sell a photo of El Capitan, but Ansel Adams' photos are protected by copyright." What applies to El Capitan, applies to almost anything within the public domain. The legal name for the issue raised in the question above is that of originality. Here is another quote from the case of Toro Co. v. R & R Products Co., 787 F.2d 1208 (Minn. 1986), "Under originality case law a work need not be artistic or novel to achieve protection. Mazer v. Stein, 347 U.S. 201 (1954). Originality denotes only enough definite expression so that one may distinguish authorship. Id. at 214 (“they must be original, that is, the author's tangible expression of his ideas.”); Barrow-Giles Lithographic Co. v. Sarony, 111 U.S. 53, 60 (1884) (photograph is copyrightable because author's efforts in composing subject shows photograph was “an original work, the product of plaintiff's intellectual invention”). If the disputed work is similar to a pre-existing protected work or one in the public domain, the second work must contain some variation recognizable as that of the second author. L. Batlin & Sons, Inc. v. Snyder, 536 F.2d 486 (2nd Cir.) (en banc), cert. denied, 429 U.S. 857 (1976); Alfred Bell & Co. v. Catalda Fine Arts, Inc., 191 F.2d 99, 103 (2nd Cir.1951) (in order for a copy of a work in the public domain to be original, the author must have “contributed something more than a ‘merely trivial’ variation, something recognizably ‘his own.’ ”)." As you can probably guess from what the Courts said in these cases, if this type of issue comes up, the courts will likely decide the issues on a case-by-case basis. So the answer to the question is yes, a photographer's artistic rendering is likely copyrightable but whether or not the photographer would prevail in a court case would depend on the specific facts of each case. 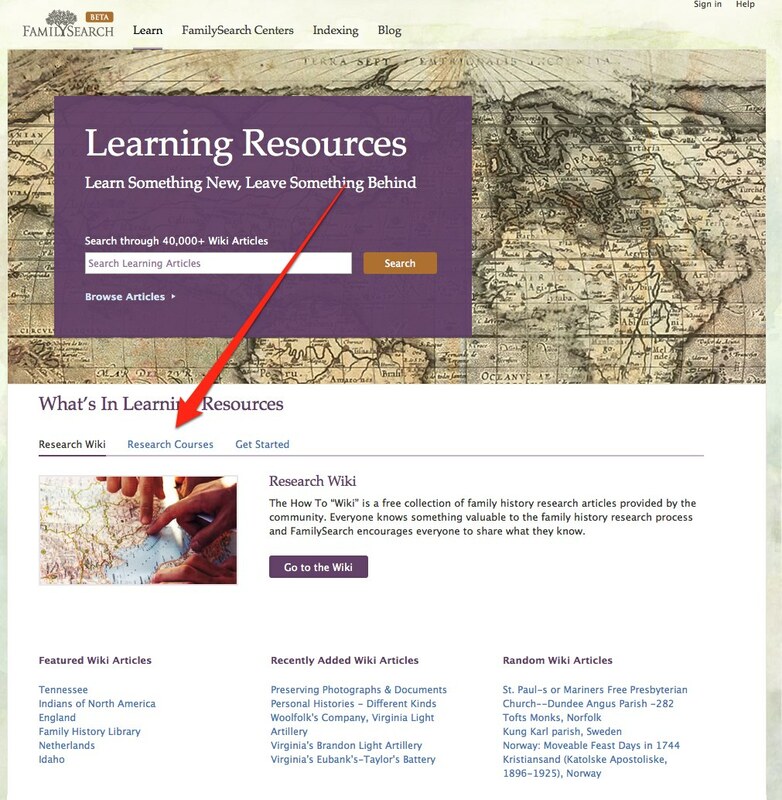 Where are we today with FamilySearch online? What is a FamilySearch Center? Online genealogy documents in the public domain? Isn't genealogy supposed to be fun? Can you steal an online article?